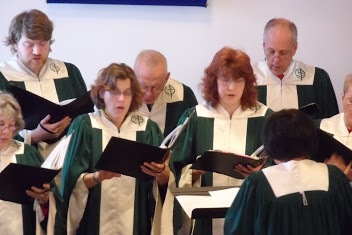 Our Sanctuary Choir provides music throughout the service. During Advent and Holy Week, the choir performs seasonal programs. During the summer, we enjoy special music from individual musicians. We celebrate the ministry of music. Anyone interested in participating in the choir, whether on a regular basis or for a season, can join in. Rehearsals are on Sunday mornings at 9:30am and on Thursday nights at 7pm. 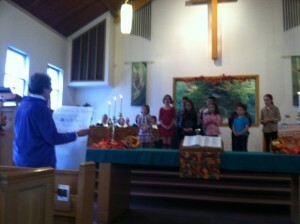 Our Children sing at various times during the year. At Christmas time and on Children’s Sunday in June, they present the message in the form of musicals and acts as part of the service.